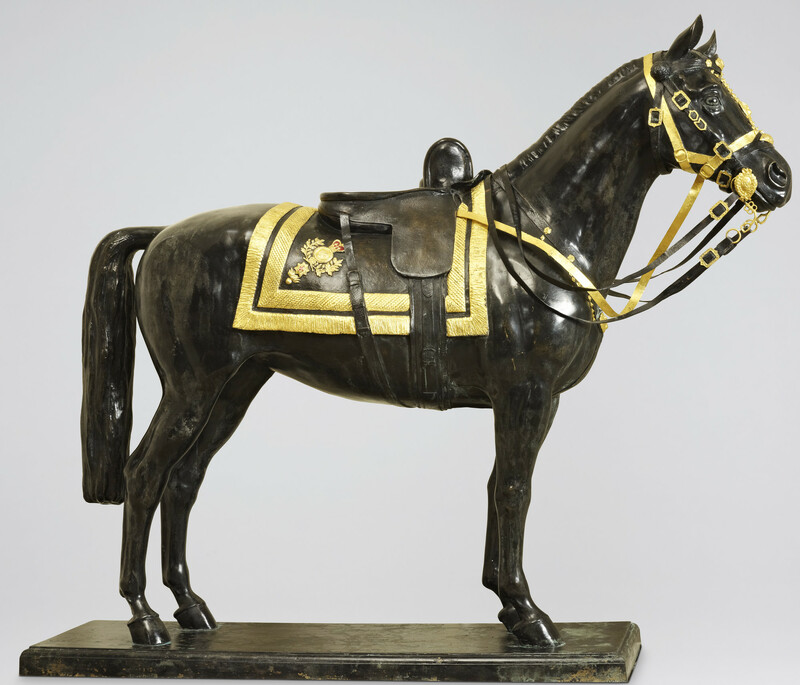 A cast bronze model of the horse 'Burmese' with a gilt-metal bridle and saddle, girth, standing on a cast rectangular bronze base. The horse is to scale one-third of life size. The Queen has been presented with a number of horses bred and trained by the Royal Canadian Mounted Police – including a mare named Burmese, who was presented in 1969. Burmese carried The Queen to 18 Trooping the Colour ceremonies before retiring to Windsor in 1986.